The dairy bulls at the ASB are again on the charge; confidently talking up the prospects of higher milk prices for farmers this year on the back of continuing strong butter prices and the threat of ongoing wet weather crimping NZ production and forcing a general rise in global dairy prices. ASB senior rural economist Nathan Penny - who last season went far out on a limb to predict a higher milk price, correctly as it turned out - has just stopped short of predicting a $7 per kilogramme of milk solids price for farmers this season. However, in a report on events at the overnight GlobalDairyTrade auction Penny said butter prices continue to boom. "Indeed overnight, butter prices have set their eighth auction-record high already this year. "Meanwhile closer to home, the wet weather rolls painfully on and is beginning to weigh on production. August production, for example, was down 1.5% versus August last season. While it is still early spring, if the rain continues, production will stall further and then send dairy prices higher." Penny said wet NZ weather and the global butter shortage are a "recipe for higher dairy prices". "The global butter shortage won’t correct until sometime in 2018. Meanwhile, D-Day is fast approaching for NZ production. If the weather doesn’t improve soon, we expect to lift our milk price forecast to $7.00/kg or above in the next month or so." 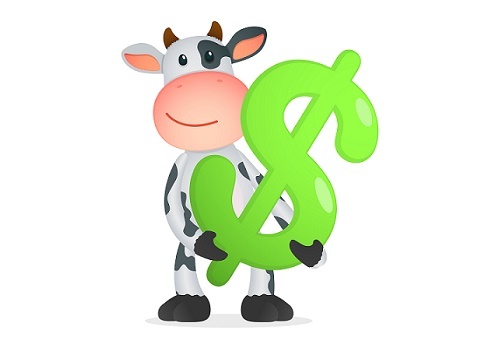 Fonterra's current forecast for the season is $6.75. It will likely offer an update when it releases its annual results this coming Monday (25th), though it's seen as unlikely in the marketplace that the forecast would be altered at this stage. Penny, in commenting on the dairy auction, said global butter demand continues to surge, while supply is struggling to keep pace. Moreover, global inventory levels are low. "This dynamic suggests that records may continue to tumble through to the end of the year." Penny said that looking over a three-month period, overall auction prices continue their holding pattern. WMP prices have lifted a modest 2.7% over this period, while overall prices have fallen a similarly modest 1%. On the NZ weather, Penny said the wet weather had meant production was reportedly lower at the moment in key regions than at the same stage last year. "...We [have] forecast a lift of 4% for this season compared to last, but that will prove optimistic without a return to more normal spring weather over coming weeks. " See here for the full dairy payout history.